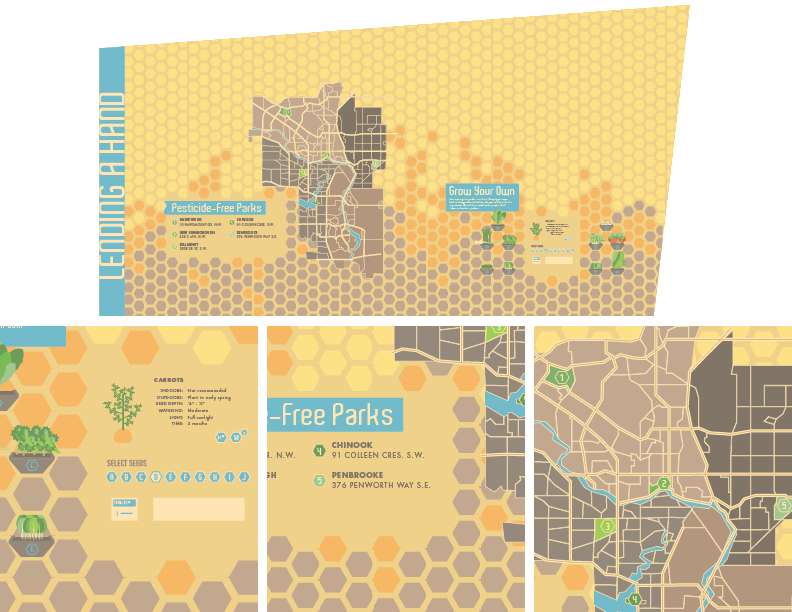 There’s a huge mosaic in East Village by the river, and for this assignment we had to imagine the mosaic panels covered instead with an educational infographic that would benefit the city. 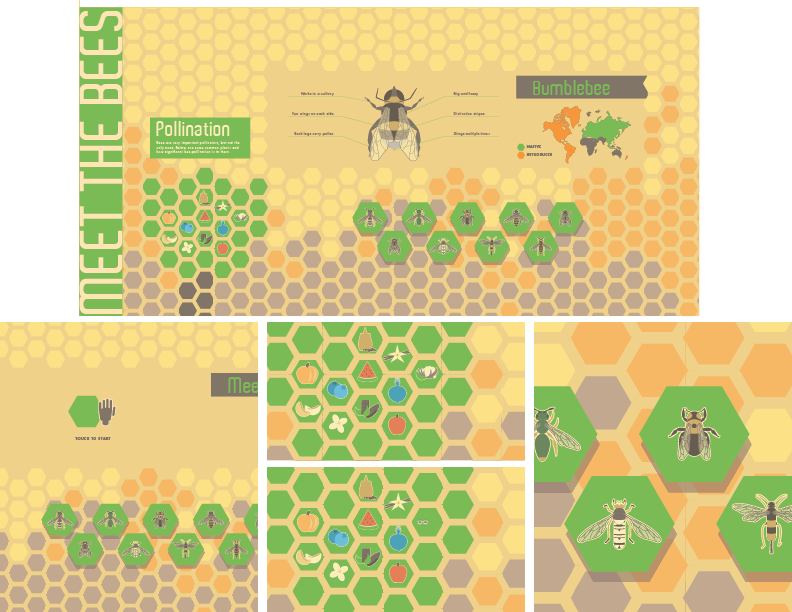 Recently I recovered from being one of those “death to all bugs” kind of people, so I thought I’d spread some of the love. 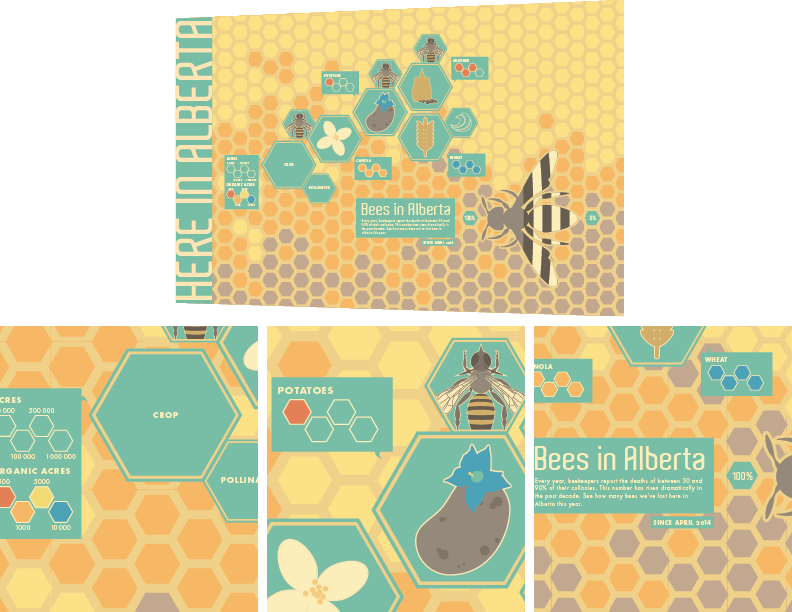 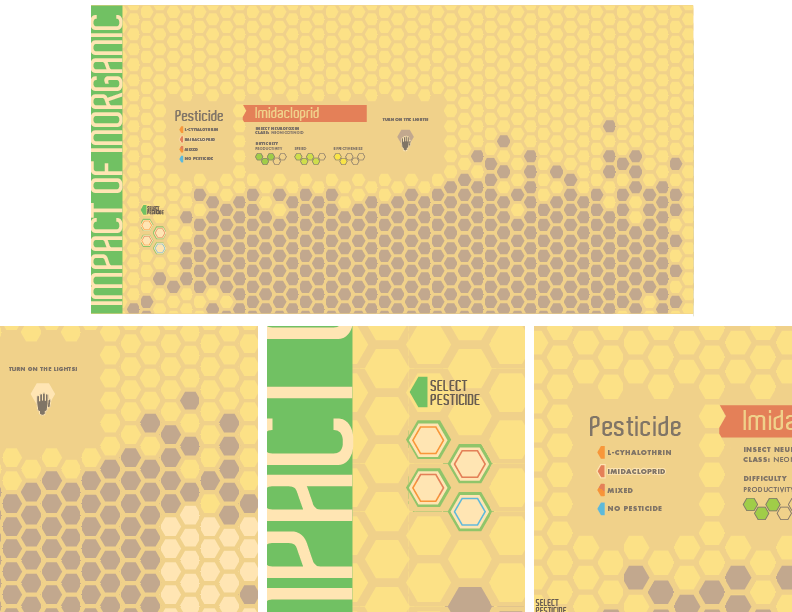 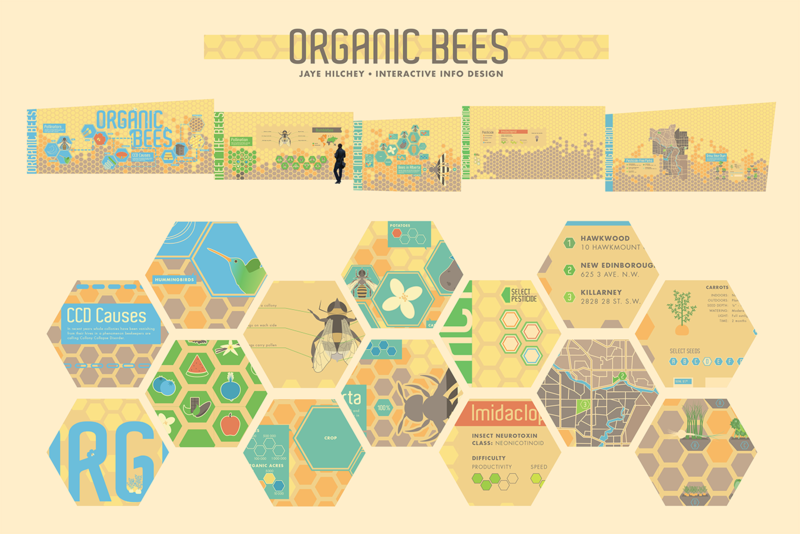 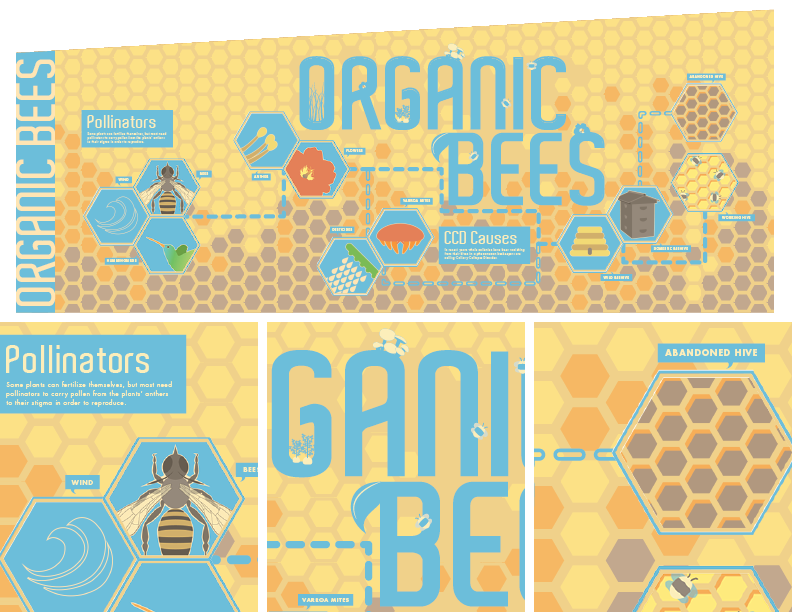 The infographic isn’t so much about bees as it is about organic farming, but it uses them as a theme through which to talk about the subject.